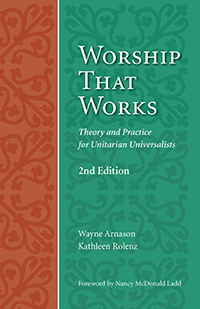 Just ten years after it was first published, Worship That Works is already a classic text of the Unitarian Universalist liturgical arts. Following a road trip in which they visited congregations of various sizes and traditions, the authors offer essential theory and best practices for lay worship leaders, ministers, and student ministers alike. Significantly updated, this second edition includes revisions and new chapters on multicultural worship, multigenerational worship, and new models of services for contemporary practices. All Souls Church, Unitarian, Washington, D.C.